IN THIS ARTICLE, YOU WILL FIND THE TOP 6 BEST FACE SWAP APPS. What is the best way to create a funny moment? I’d say let’s swap faces. Swapping face nowadays has become a trend that a lot of teenagers are trying and it sounds pretty cool too, but what is swapping a face? Well, face swapping means interchanging your face with someone else. Most people try this with their friends to create a hilarious moment. Not only you can interchange faces with your friends, but you can do this by attaching your face with celeb bodies. Now you might be thinking – How can I swap face since I’m not good at editing stuff.? Well, there are a hell lot of apps present for Andriod users as well as for iOS users. You can edit and exchange your face with someone in the app specially designed for such stuff, but you need to have some practice to create a perfect, hilarious moment. Now, without further ado let us arrange some top picks and our favourite face swap apps which will help you create a funny moment between your friends and family. Following are some of the best face swap apps which will make it easy for you to choose from hundreds of such apps present in Andriod and iOS respectively. Face swap is one of the finest face swap apps you’ll find the play store market. This app features auto-detection of bodies, and it can change faces automatic although due to some errors it won’t be able to make a perfect match so doing it manually is preferred. The Even manual mode has some bugs, but it’ll make a perfect with some patience and patience. If you’re out of patience and want quick and better results, then this app is surely not for you and yeah, who can forget those advertisements the app shows every minute! This app is only for Andriod users, and it is free. 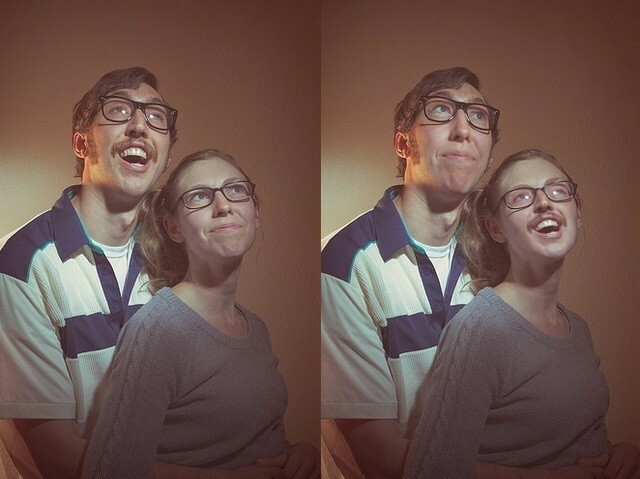 Photo face swaps is another fine face swapping app available for Andriod users. This app is quite good, yet you have to do editing manually to get the best results. Perfect face swap also depends upon how clear and perfect the image is. The better the alignment and the image, the better the results, that’s how most of the swap face apps work. This app works with the same ideology as well, with some practice you can easily master the art of swapping faces. Not only this app helps in face swapping, but it also has an additional feature which is face bomb effect, where the users face can automatically replace with N no of faces present in the image. So, if you have a picture with too many people showing there face, well, why you’re waiting? Just use photo face swaps and swap your face with theirs. This app is only available for Andriod users, and it is free. If you want a storage of faces to swap anytime you want, face swap booth is the one for you. Face swap booth lets you swap photos with ones you wanna swap, and you can do it manually, or else you use the auto-detect feature which is available in this app. Not only that, you can exchange your face with the celebrities which are pre-loaded in this app itself. Other than that this app comes with different advanced tools which you can use for face swaps and it comes with photo effect and other funny face masks and a lot more. This app is free for Andriod and IOS although the free version is limited. You need to make an in-app purchase of 2.99$ to unlock its premium version with all the pre-loaded faces and some advanced features. MixBooth app does not swap your face with anyone. Instead, it adds two faces in one which is also funny. It lets your face and some other persons face mix together which is also a fun thing to do. All you have to do is select the image you wanna mix your face with, and its auto mode can do it for you. There is also a feature where you can mix your face with some celebrities face so that you can see how pretty or bright you look when mixed. It is a fun app, it doesn’t allow face swapping, but it is interesting and worth to try on its way. This app is available for both Andriod and IOS users, and it is free. Facebook has purchased MSQRD, and it is good news for Facebook users since MSQRD is an excellent app with amazing features. MSQRD is not a face swapping app, but it is interesting on its way since it has the pretty cool mask to try out. With the cool masked being said, it is a feature where your face gets covered with a cool animation, and there are many different animated masks to try out. Now if you use snapchat lenses then you will feel MSQRD as the second home since both the apps are almost the same. This app is available on Andriod as well as on iOS, and it is free. 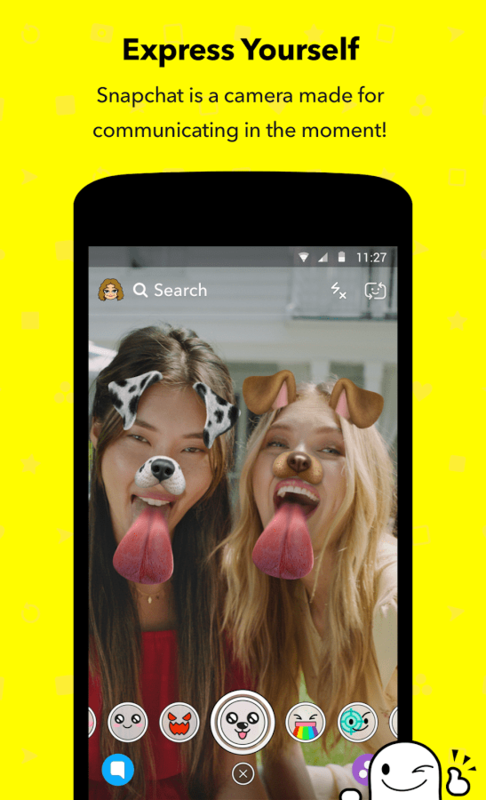 Snapchat is the one of most famous social media platform, and millions of people use it all around the globe. Snapchat is a unique social media platform where people upload their filtered pictures which they call ‘snap’. It’s a cool app where the main source of communication starts with pictures. It’s an app which started face swapping and then followed by other apps. The reason so many people use Snapchat is that it gives perfect results to face swaps and there are cool filters to try out. Face swapping in snapchat could be achieved by selecting one of its lenses. This app is available in Andriod and IOS, and it is free for its users. Well, these were the top 6 best Face Swap Apps that are available for free for the Android users. If you think we missed any app that deserves to be on the list of best swap face apps, then make sure to let us know via the comments section below. Cheers!